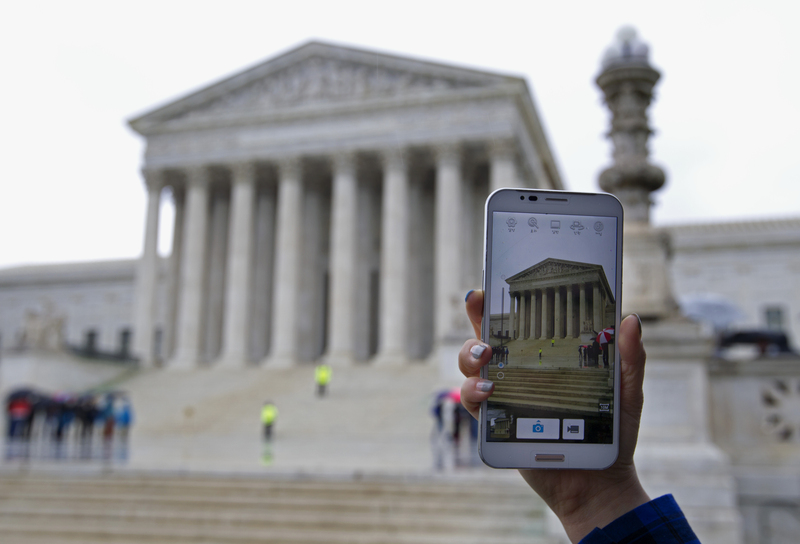 As you may have heard, this week the Supreme Court unanimously decided that police must obtain a warrant to search the cellphone of someone they arrest. What does this mean for comics fans and professionals? We’re glad you asked! First, a little background on the ruling. In two cases – Riley v. California and United States v. Wurie — law enforcement agencies argued that when it comes to searches, cellphones are no different from anything else found on an arrestee’s person. The Court resoundingly rejected that logic, as Chief Justice John Roberts wrote that modern smartphones “could just as easily be called cameras, video players, Rolodexes, calendars, tape recorders, libraries, diaries, albums, televisions, maps or newspapers.” Considering the amount of personal information that can be stored on a cellphone, the opinion said, searching someone’s phone is more akin to searching their house than their wallet or purse. The decision — which the New York Times says “almost certainly also applies to searches of tablet and laptop computers” — brings the Fourth Amendment into the 21st century and will influence and limit how law enforcement must approach the search of electronic devices. For the comics community, the decision increases the protections for the reference materials and creations of artists working with digital tools as well as the rights of readers, and it will prevent unconstitutional intrusion and subsequent intimidation. Whether the decision may help to head off cases like that of Ryan Matheson, who was detained for five days by Canadian police because of some manga on his laptop, remains to be seen. Although Matheson was detained in Canada, U.S. border agents also routinely search the electronic devices carried by people entering the country. Border officials claim that national security trumps privacy rights, and the Supreme Court ruling does not specifically address border searches. The effects of the Riley decision could well be felt beyond traditional law enforcement activities, and may add a new dimension to the ongoing debate over how much governments should be able to intrude into individuals’ lives via their own electronic devices. For instance, Riley should add fuel to the already contentious debate surrounding warrantless searches of computers, smartphones and other electronic devices at U.S. border crossings, which privacy groups contend violates the Fourth Amendment protections against unreasonable searches and seizures. So, for the time being, police can’t search your cellphone (or other electronic device) without a warrant. But until there’s a firmer ruling specifically on border searches, you may want to take precautions when traveling abroad or re-entering the U.S. Check out our advisories on crossing international borders and searches at the Canadian border.